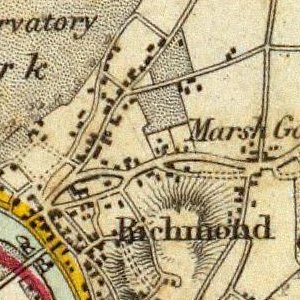 Until the 18th century Perivale was called Little Greenford or Greenford Parva. 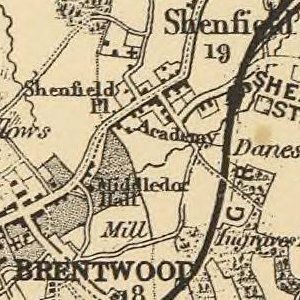 Perivale formed part of Greenford Urban District from 1894 to 1926, and was then absorbed by the Municipal Borough of Ealing. 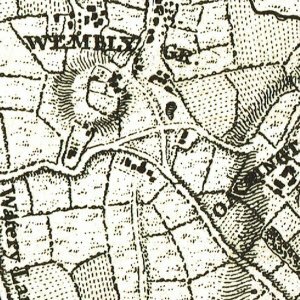 Before the residential building expansion of the 1930s, the fields of Perivale were used to grow hay for the working horses of Victorian London, a scene described in the ending of John Betjeman’s poem ’Return to Ealing’: "...And a gentle gale from Perivale/blows up the hayfield scent." Although now mainly residential, there are some office blocks and parades of shops. Perivale has two golf courses: Ealing Golf Club and Perivale Golf Course. The BBC Archives are in Perivale. 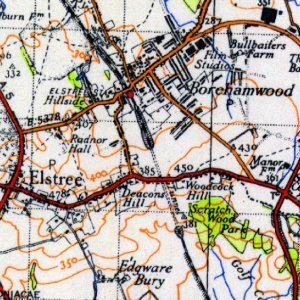 Perivale is one of the settings of Anthony Trollope’s novel The Belton Estate (1865). 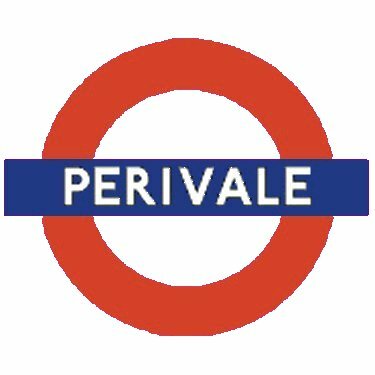 The Great Western Railway opened "Perivale Halt" in 1904 but it was closed when the current London Underground station was opened on 30 June 1947. It was designed in 1938 by Brian Lewis, later Chief Architect to the Great Western Railway, but completion was delayed by the Second World War. The finished building was modified by the architect Frederick Francis Charles Curtis. In July 2011 the station was one of 16 London Underground stations that were made a Grade II listed building.